Florisma are an exciting historical chamber ensemble featuring soprano voice with period instruments. They have a creative, playful and personal approach to the music they perform, and are known for their sense of unity, “creating a rare feeling of intimacy around their performances.” They perform a varied repertoire of predominantly baroque music, are inventive with their programming and instrumentation, and aim to bring a real sense of energy and emotion to their audiences. 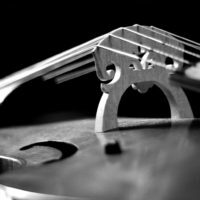 The ensemble was formed in 2011 by three early music students at the Birmingham Conservatoire, in order to receive historical chamber music coaching with baroque cellist Henrik Persson. The group had a distinctive sound and energy that was recognised early on, quickly going on to win first prize in the Birmingham Conservatoire’s Early Music Prize in which they were praised for their communication, expression and creative ornamentation. They appeared on the Conservatoire’s early music concert platform and received specialist guidance in French baroque music from Dr Shirley Thompson. All graduating with Distinctions in performance, they each went on to pursue performing careers, particularly involving historical music. Since the group began they have added further instrumentalists to the line-up, providing more opportunities to be creative. Most recently this has included the addition of the baroque or ‘triple’ harp which has added an extra dimension to their performances, and they have enjoyed the opportunity to promote the use of this instrument in baroque repertoire.